Miramar Beach Villas #114! A turn key, rental ready town home in Miramar Beach directly across the street from the beach! This property, and other 4 bedrooms at MBV can eclipse 60k a year in annual income! 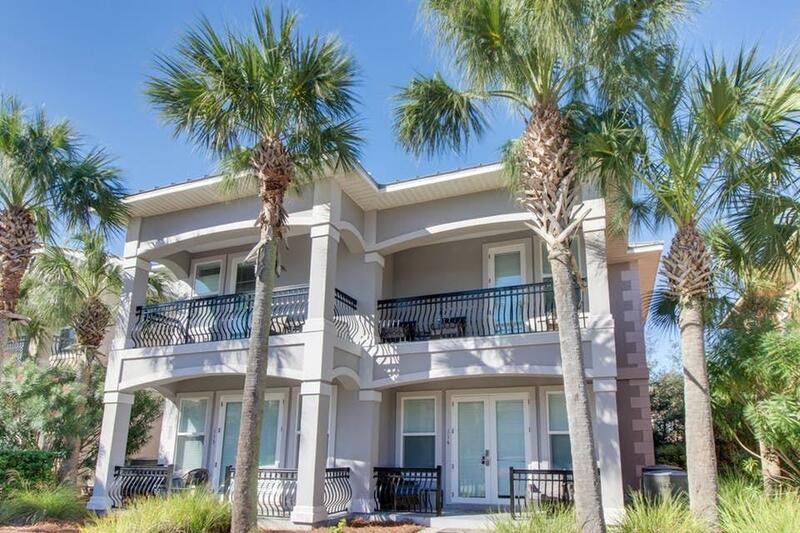 This 4 bed 4 bath home sits in the gated community of Miramar Beach Villas, a 32 unit development with a community pool and high end construction. Miramar Beach Villas are known for their exceptional rental income production and supreme location! This beautiful home comes with 4 beds and a bunk space and master suites. travertine tile in the main areas and hardwoods in the bathrooms. Balconies on all 3 levels! High level granite counter tops, crown molding and elevated ceilings in the living/dining room. Walk in shower and Jacuzzi tub in the master on the second floor.